Located in the nicest and most central areas of Warsaw, the Old Town Apartments offers its guests original and comfortable accommodation in very spacious flats for up to 4 people. 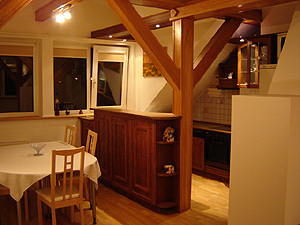 The apartments are located mostly in charming historical buildings of the Old Town. 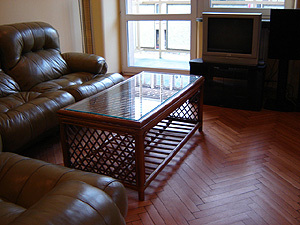 Guests will find a well equipped kitchen, living room, CD players and cable TV. In the apartments four people can be accommodated for the same price as two in a hotel room! With a multilingual office in every location we give exceptional service too. In Warsaw, you can't get any more comfortable. For cancelling a confirmed reservation, there will be a 20 euro fee aplied. The Apartments are in the city centre, 10 km away from the airport, 1,5 km away from the main railway station and 4 km away from the main bus station. Bus: no. 175 from the airport. We arrange airport taxis to greet guests.